The 2016 Summer Learning Sessions line-up has been released. We hope you will find something of interest to bring you to the Samuel D. Isaly Library of the Ohio Genealogical Society. All programs are free and open to the public to attend. Remember, when you attend a session you have free access to the library after the programs. The biggest message out of Statehood Day in Columbus this morning was to promote the tax check-off box on the Ohio state income tax forms to promote the History Fund. Support dropped from $171,000 in donations in 2014 to just $80,000 given in 2015. If they have a second year below $150,000, the program is no longer an option and the donation box will be removed. The History Fund grant recipients announced at the event were: $4,074 to the Auglaize Co Historical Society for collections management; $6,000 to the Canal Fulton Heritage Society for a roof; $17,500 to the Fort Recovery Historical Society for an archaeological field school; $3,577 to the Friends of James A. Garfield National Historic Site to create a portable exhibit; $3,450 to the Green Lawn Abbey Preservation Association for the restoration of a stained glass window; $10,000 to the Heartland Earthworks Conservancy in Hillsboro for a magnetometer survey; $10,000 to the Lakeside Heritage Society for renovation of the exterior of their museum; $3,000 to the Milton-Union Public Library for a microfilm reader/scanner; $3,900 to the Noble County Historical Society for furnace replacement; $6,327 to the Poland Township Historical Society for window replacement on their little red schoolhouse; $6,000 to the Ted Lewis Museum in Circleville to preserve and digitize the Ted Lewis record collection; $3,972 to the Warren County Historical Society to do 40 oral histories of veterans; $19,200 to the Western Reserve Fire Museum in Cleveland for window replacement; and $3,000 to the Works in Newark for conservation of an historic map of Newark. We are happy to see some genealogy-related projects this time. The grant program is open to OGS chapters and any non-profit project with a history theme. 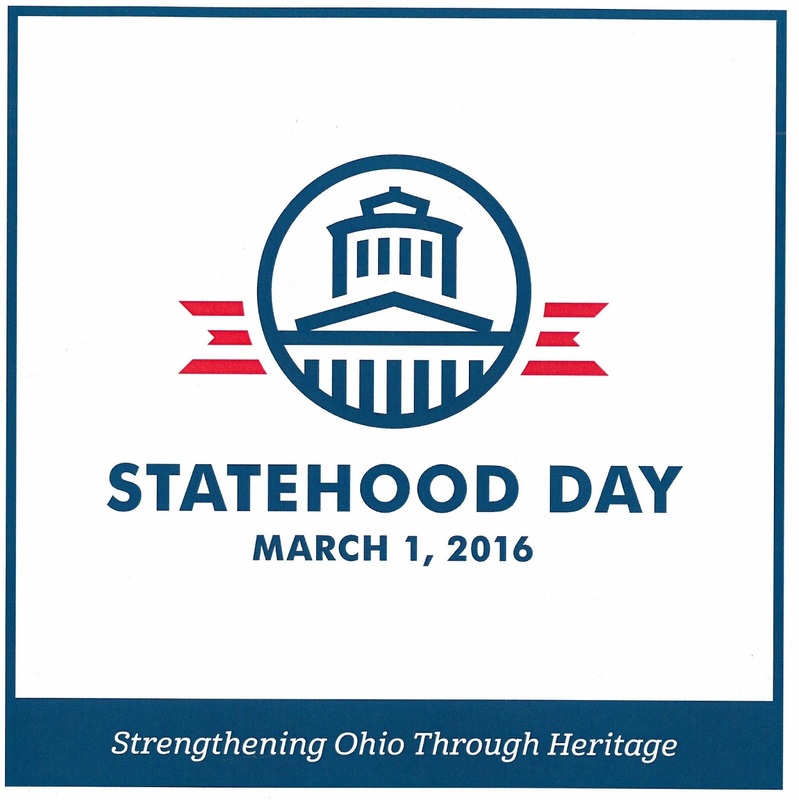 The Ohio Genealogical Society has been a sponsor of Statehood Day since its inception ten years ago. 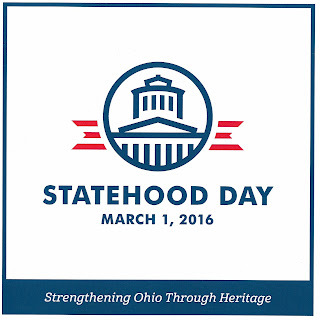 OGS Vice President Russ Pollitt serves on the Statehood Day planning committee. This year, three projects were emphasized. The group wants to preserve the Ohio Historic Preservation Tax Credit program. They want to support a pending resolution to nominate the Hopewell and Fort Ancient earthworks in Licking, Ross, and Warren counties as a World Heritage site. And they want to keep that History Fund program operating through tax form donations. More than $448,000 has been awarded for history-related projects in Ohio since 2012. -- and "Happy Birthday Ohio!"